Life is good and, regardless of all the things I’ve studied, read, pondered, or conceptualized, I can only deduce that we’re here just once. That grants me license to live to the fullest. And, like a little kid fighting sleep, I don’t wanna miss a thing. Though I keep myself busy, it doesn’t seem that I do enough. I’m currently working on a graduate degree, a new collection of stories to publish, recently adopted a rather intense exercise regimen, am a family man, and maintain an ever-changing schedule for my 9-to-5. Oh, and I just started a side business, too. LOL! I was sitting in class with some of my fellow students last week. Each of them were professional students, as the course we were taking was all they did. Two of them were retired and collecting military checks; another was the wife of a retiree. One made jokes about watching his neighbors hustle off to work each morning while he sipped coffee in his robe. I tried to image a day where I had nothing to do. What’s funny is that I have two basic modes: completely engaged and completely disengaged. Though I enjoy lazing about when time permits, it usually doesn’t happen for long. I never seem to sleep in, even when I have no appointment to meet. There always seems to be something to do, a new project to create, a new tale to spin, something new to learn. But that’s the key to me: constant mental movement. Even when I sit still and seem to hover on the verge of being comatose, I’m usually turning over a concept or story idea in my head. Some folks think I am an overachiever, while others see me as completely lazy; I think I might fall somewhere in-between, though closer to the former. I am a learning machine and approach each day as would a bright-eyed, curious child. I have this crazy notion that there is nothing beyond my grasp. I am no better than anyone else, but I am driven to live a life without limits. The nice houses, cars, island vacations, accounts, etc., are only indicators of having the best in life. Again, going for the best and eventually achieving the best, makes me no better. Anyone else with the drive, determination, and nerve can do the same…may even do better. And God has the universe constructed so that there’s enough for us all. 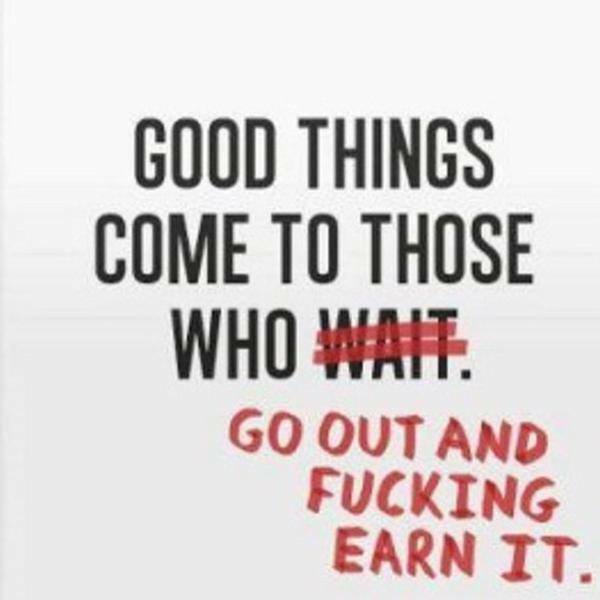 But you’ve got to be willing to WORK for it! So, as people sit on the sidelines, mouth hanging agape with a dumbfounded look on their face at what I’m doing, I encourage them to watch my smoke. However, in watching, my hope is that they use that to fuel and inspire their own advancement. I wish everyone the best in their personal pursuits. That said, watch my smoke!